Wright’s suit named O’Reilly as well as network co-president Bill Shine among others and the allegations contained point to a terrifically racist and discriminatory workplace that was inhospitable not only to women, but to its employees of color. 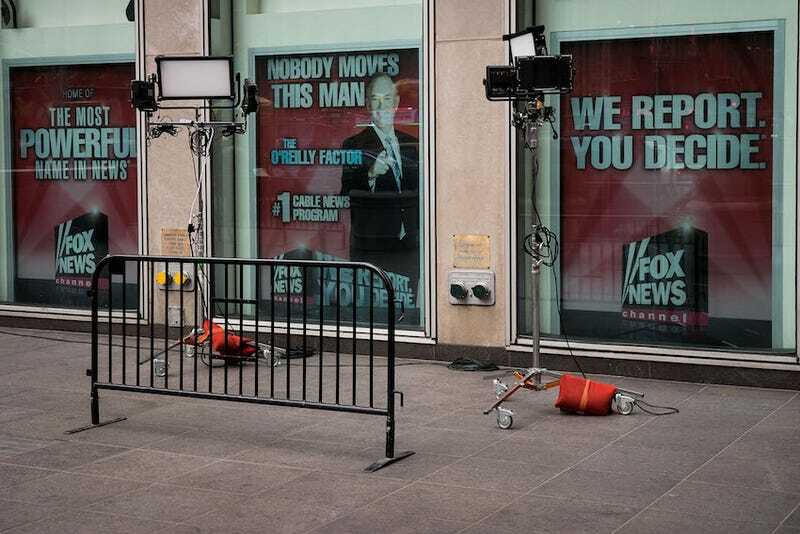 The lawsuit also include allegations from Musfiq Rahman, a former employee in Fox’s payroll department, described in the suit as “a dark-skinned Bangladeshi” who allegedly ““suffered unconscionable and unrelenting race discrimination,” including this horrifying claim against disgraced former Fox News chairman Roger Ailes. When Rahman allegedly entered Ailes’s office by mistake, good ol’ Rog responded in what can only be described as a gross, racist and frankly insane overreaction. Wait, there’s more: the New York Times reports that a second suit was filed by former Fox News employee Adasa Blanco against Slater, Fox News and Fox News lawyer Dianne Brandi, alleging that while employees complained about racial discrimination to executives at the network, their complaints were ignored and the behavior continued unabated.